Most people these days have a smartphone. Perhaps you’re even reading this on one. Far more than a simple phone, these digital devices are making a big impact in our daily lives. One example of this is the use of smartphones to support those with hearing loss. From service apps to devices that connect your phone with your hearing aids, smartphones are providing communication resources that enhance not only your hearing but the functionality of your hearing aids as well. For example, the app Tap Tap is popular in the deaf community since it was designed to help hearing impaired people respond to their environment by alerting the user with vibrations and flashes when a loud noise has been made near them. Another example is The Ear Machineapp allows you to use your phone as a microphone for enhanced listening. Here at Complete Hearing, we’ve seen hearing aid wearers especially benefit from a new hearing technology called Oticon Opn. It is designed to connect to your smartphone and stream sound directly to your ears. Talking on the phone, listening to music, watching TV, even just living your life is so much better with the Oticon Opn. You can control the volume and switch programs on your TV with your iPhone using just a tap of your finger. The Oticon Opn also helps provide relief from tinnitus with Tinnitus SoundSupport. You can adjust the support you need from the app on your smart phone, which can help you take control of your tinnitus by playing a wide range of relief sounds like white noise and soothing ocean-like sounds. You can adjust the sounds until they give the relief wherever and whenever you need it. 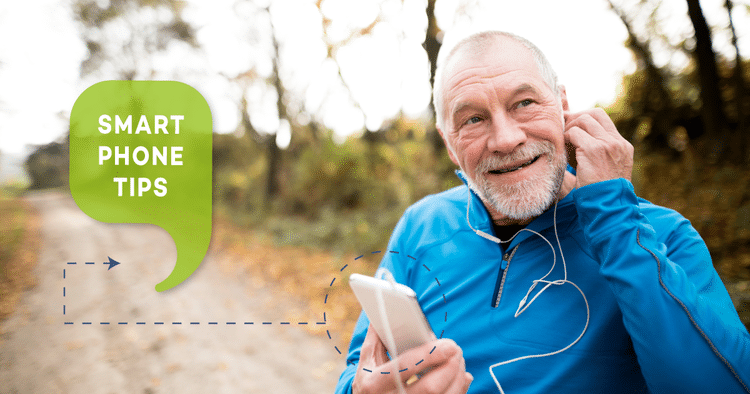 You can wirelessly stream alternative tinnitus relief options, such as your favorite music, audio books, podcasts, or even relaxation guides. If you’re interested in how devices can work with your smartphone to improve your hearing and quality of life, schedule an appointment to demo a device out of the office at no cost or obligation. We look forward to hearing from you.